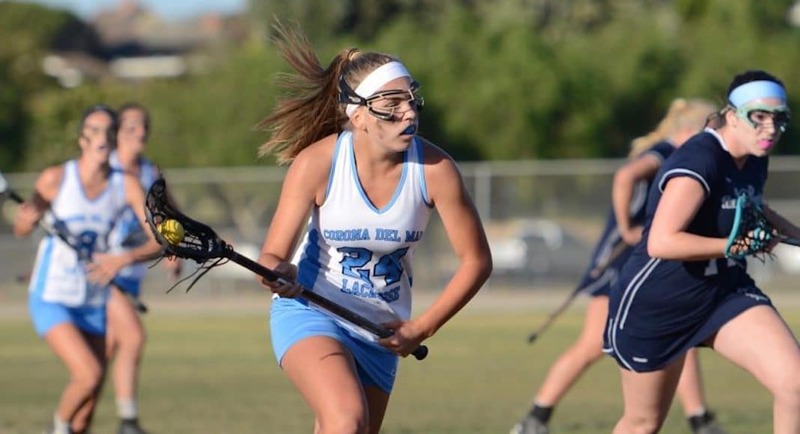 The 2018 Corona del Mar girls’ lacrosse team will have a tough act to follow. Last year the Sea Queens finished with a 13-7 record and marched through their Pacific Coast League competition without a loss. Five of those losses (including two to Mater Dei) were at the hands of the four OC semi-finalists. The other two losses were to Torrey Pines, the San Diego CIF champions, and St. John’s of Texas. CdM lost their top two scorers Kennedy Mulvaney (59 goals) and Jensen Coop (42 goals) to Fresno State and San Diego State, respectively. However, juniors Emily Amdor (38 goals) and Joslyn Simaan (25 goals) are both proven scorers and should be ready to help make up the lost production. Sophomore Caroline Brewster (19 goals), seniors Emily Cannon (11 goals), Emily Faludy (9 goals), and Lauren Rowe (9 goals) also return. Amdor, Simaan, and Faludy are all on the All-County Watch List, and Rowe is committed to play at Chapman next year. Defensively, the Sea Queens will be led by juniors, Simone Oberreiter, another All-County Watchlist designee, and Lauren Quinn, as well as a deep and experienced goaltending unit. Senior Ashley Olson and junior Katie Langley logged all of the team’s minutes between the pipes last season and they return with another year of experience under their belts. Junior Bella Badajoz has been promoted to varsity to provide additional goalie depth. The Sea Queens will play another challenging schedule this year with most of the preseason Top 10, Torrey Pines, and Poway on the slate. The fun begins on March 8 when CdM hosts Los Alamitos.